The following guest post is written by Jackie Higgins, of Ready-Set-Read. Jackie is a great friend and longtime we teach member, now a member of the we teach advisory board. 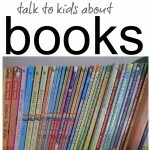 I’m Jackie, an early literacy blogger, reading specialist, and mom of preschoolers. I’m also a book-a-holic. According to my husband, I have too many children’s books. Is there such a thing? In our house, I use books to teach basic preschool concepts as well as connect to our experiences. This fall my boys have experienced visiting an apple orchard. We’ve read books about apples and done much of our learning at home based on apples. I prepared for our thematic unit by finding many wonderful picture books about apples at my local library. You can view my complete list of apple books in my apple unit. 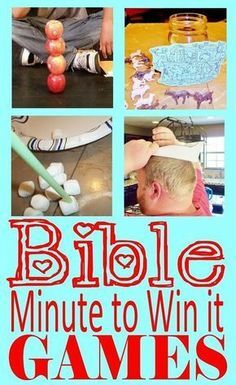 After I found the books my boys loved, I created activities using math, science, and language objectives. As Amy would say it was a great way to “sneak” learning into our day. Plus, research shows that using thematic units helps kids to connect to what they are learning in a meaningful way. 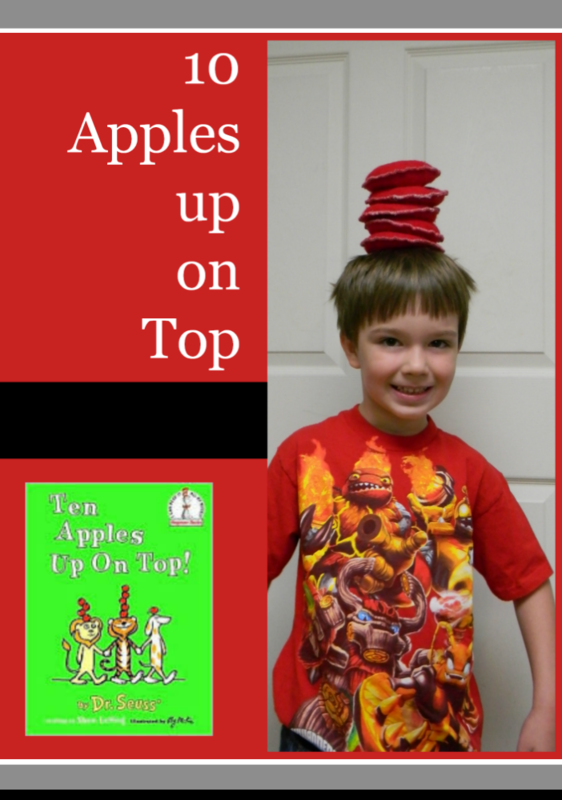 I’m so thrilled to be here today on Teach Mama to share one of our faves from our apple unit, Ten Apples Up on Top by Dr. Seuss. This is a great book for helping kids learn to count objects to 10. The rhyming text and use of high frequency words makes it a great choice for beginning readers as well. After reading the book, Ten Apples up on Top, we decided to challenge ourselves to see how many apples we could stack on top of our heads. I created apple bean bags for this activity. I cut red felt in circles, stuffed it with beans, and sewed around the circle. The beanbags were pretty easy to make with basic sewing skills. With a little imagination, any size or color of bean bag can be an “apple” up on top, though. There’s no need to create apple bean bags unless you really want to. We even created a few “challenges” similar to the book. We tried balancing our apples while hopping, while walking, and while dancing. 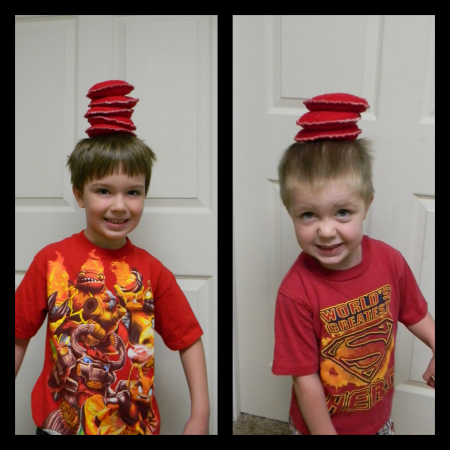 After a few tries, the boys recorded the number of apples they were able to balance. We used those in our counting and writing activity. After our balancing apples challenge, we created a math craft. The boys glued apple clip art on top of a boy face. They carefully counted out the apples to match their score from the game above. Then, they practiced writing numbers. 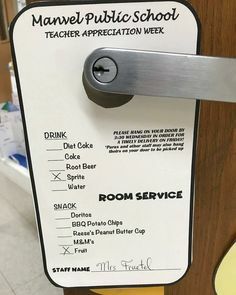 They are preschool and kindergarten aged so I provided a print out of the sentence. “______ had ___ apples up on top.” I helped my youngest fill in the blanks with his name and number, but my kindergartener was able to practice writing his name and practice number formation. My preschooler really wants a beard, so he added that as well! More advanced children could practice writing a complete math sentence to describe their pictures. 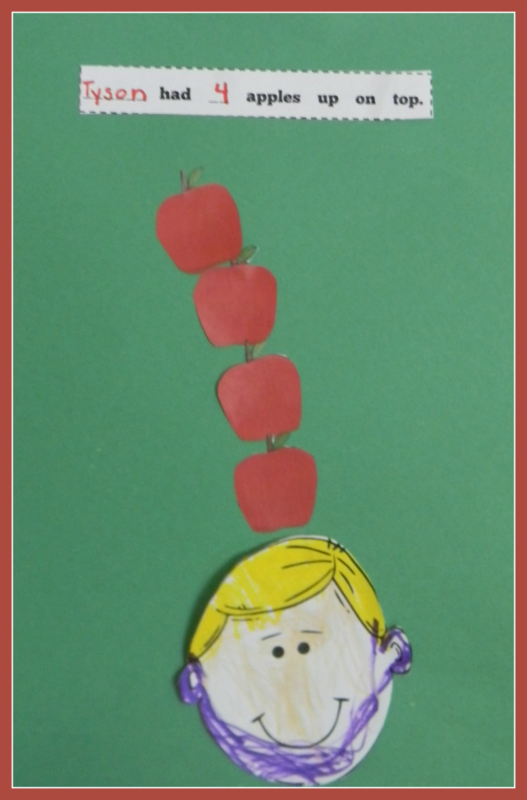 I provided my kids with faces to color for their project, but many kids would be able to draw themselves with apples up on top. If you are interested, all of the clip art is included in my apple unit. The week after we completed this project at home, my son’s kindergarten class read Ten apples up on Top and did a similar activity. His class was learning to compare numbers. They chose how many apples to put up on top. Then they compared that with a partner. This would be a fun way to introduce math terms such as greater than, less than, equal/same. Fall is a great time to explore apple themed books and activities. Books can simply be enjoyed together or parents and teachers can work in learning activities to extend the learning. We loved learning about apples and learning basic concepts through our apple unit. Next month we are off to the pumpkin patch, so I guess I better head back to the library. After all, you can never have too many great children’s books! 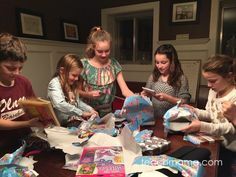 Looking for more book activities? Come visit with Jackie at Ready-Set-Read for more ways to engage your children with books. You can also find Jackie busily pinning on Pinterest, tweeting on twitter, and chatting about the best Children’s literature on facebook and Google+. Huge and happy thanks to the amazing Jackie Higgins for sharing her expertise with us! Please check out her blog, follow her, friend her, and favorite her–you’ll be glad you did! 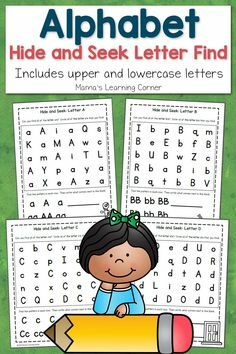 I am always on the lookout for activities that connect handwriting with learning. This is an excellent one. Thanks for sharing it!